Labour has a problem that’s fixable. It shouldn’t be that hard but they’re very good at making it seem so. The party has dropped again in the latest poll – at 24% the lowest since the 1 News Colmar Brunton poll began in 1995. Labour’s leader, Andrew Little offered to step down in a meeting with senior caucus members. This was rejected. The Greens are up four points to 15% - and yes, good on them for that, but it doesn’t change my view – and New Zealand First stayed steady on 11%. National were steady on 47%. Of interest is the emergence of Gareth Morgan’s The Opportunities Party, on 2%. The poll of a little over 1,000 people was conducted between 22 and 27 July and has a 3.1 percentage point margin of error. What’s gone wrong for Labour? This is an election where the key issues are (apparently): Poverty, and the gap between rich and poor; House prices and Housing affordability; and Housing shortages and Homelessness. These regard ‘the biggest problem facing New Zealand’. If the Labour Party – which has historically been the promoter of progressive taxation, state housing and social welfare – cannot compete when these are the big topics, then something has gone wrong. One interesting snippet from the issues poll was that, by voting intention, the party whose supporters were most concerned about Unemployment and Job security was New Zealand First. This bunch was also the most concerned about low wages. Sure, New Zealand First is an anti-immigration party. I accept this is partly due to concerns regarding job security and downward pressure on wages in some industries. But if a party called ‘Labour’ can’t rely on being the biggest attraction for people who hold these issues dear, then what hope is there? Of course, with the Roy Morgan ‘issues this election’ poll, it could be that people just say what they see in the papers and on the six o’clock news as what they think the key issues are in general, but then when it comes to individual voting intentions that doesn’t move the needle. The only economic concern Labour supporters came out on top for was Cost of living and Financial hardship. So, what have they done in that area most recently? Angrily attacked the government for raising the bottom two income tax thresholds to account for inflation over the past few years (well, one went a bit further, the other not quite far enough) and for raising a rent & mortgage supplement. What would Labour do differently? Make a bunch of confusing tweaks to Working for Families thresholds and introduce payments to people who have babies. Remember, this is the party that dropped plans to look into a universal basic income and tax free-thresholds, which are two of the simplest ways to start out on the road to tackle poverty and financial hardship. When Susan St John comes out saying that your policy is too confusing, then you know you’ve tried to be too cute by half. Labour were half-way to simplicity but refused to go any further for fear of rocking the boat too much and instead started rowing backwards. What can they do to fix things? Andrew Little’s first reaction over the weekend was to offer his resignation to senior caucus members. It was turned down. Apparently, no one else wanted the job. That can be read into two ways. One report has it that it would have cost too much to replace the billboards. Labour’s hope now of forming a government after 23 September rests with New Zealand First and The Greens. Combined, they have 50% in the 1 News Colmar Brunton poll. I wrote back in April my view was that Kingmaker Winston Peters would lean to such a combination over going with National, because he would hold much more power in a Labour-Greens-NZF Cabinet. It gives him the best chance of getting the best title (PM for a year?) and getting a large policy platform through. That was before the Greens called him racist, which lowers that possibility, a bit. But, Peters managed to get an apology out of Jim Bolger for the exact same thing back in 1996, so at least we can assume there is a way out of that pickle. That still doesn’t get us passed the main issue for Labour. How to rebuild to become a real force in New Zealand politics once again with an eye on 2020 (I concede we’ve been saying this over a few elections now, though). Little over the weekend started to show that, deep down, he knows what is required to get Labour going again in the polls. Whether he’s the one to do it, is a serious question now. 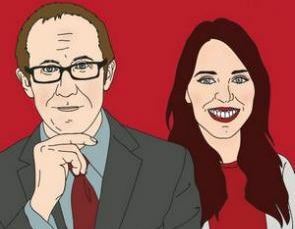 One sign of failure for Labour is that the media turns to Turei for any insightful reaction to social welfare issues (something she is good at). Well, Andrew, as the leader of the Labour Party, that was supposed to be your job, mate. And that of your social development spokesperson. Little took a swipe at Turei for spending the past couple of weeks talking about benefit fraud and getting headlines for it. Little said the focus shouldn’t be on just one person, and that we should be talking about all those who are in trouble now, not 20 years ago. The move to take back ownership of that debate doesn’t require Labour to “go to war” with the Greens or start complaining about Turei being in the social justice spotlight. Keep your attention on your own house and look to the future. A new leader could get out of the MoU. Take back leadership on the issues. Announce a very simple platform that will encapsulate the social issues Green voters hold dear. Simplicity in that area would also kill off the negative media reports whenever Labour comes up with a complex social welfare policy. I believe the way these policies are reported as complex are central to keeping important swing voters away from Labour and with National. While a simple tax-free threshold or raising the income tax thresholds will give ‘people like Grant Robertson and Steven Joyce and extra $1,000 a year when they don’t need it’, Labour knows it should be able to support such policies and tackle the ‘problem’ that you’re also giving rich people more of their money back too: Progressive income taxation. Unfortunately, there’s a massive problem for the party on this. Labour has somehow managed to lose its historical role as promoter of progressive taxation. That’s gone to the Greens. Currently, Labour’s tax policy this election amounts to promising to form yet another Tax Working Group to look at how to tax wealth, assets and income more fairly and perhaps take some of the recommendations into the following election. Phil Goff’s 2011 tax policy, while a bit rough around the edges, was a progressive, centre-left policy. I personally believe Goff was the best Prime Minister New Zealand never had – in my voting lifetime at least. Get back on message and actually stand for what you believe in. Goff did. Even David Shearer did. The current lot is shying away from a central Labour Party belief and platform. A Labour Party running on the Goff policy platform this time around, with a very simple social welfare policy that can’t be attacked as confusing, I believe would be in with a chance of bringing in closer to 40%. The party currently is more at risk of its list-only leader not getting into Parliament if the vote drops further to around 22%. Meanwhile, Little also took a swipe at Winston Peters and New Zealand First, saying a vote for them won’t necessarily change the government – trying to scare people that Peters might go with National. Firstly, that would be a change of government. I don’t understand people who argue otherwise. The government hasn’t changed the last two elections – but a National/NZF government would be a change from the current National/Maori/ACT/UnitedFuture lot. A recent Herald poll indicated New Zealand First voters would prefer the party goes with National than Labour/Greens. Yet the recent boost to New Zealand First’s base (and the Greens’) appears to have been from Labour voters. Perhaps Labour’s immigration announcement has stemmed the flow to NZF more recently? Next step: how do you now bring some of them back into your own tent? Well, they’re mostly concerned about job security, low wages and housing affordability. Something’s gone wrong in your key messages there. In the history books, the post-Lange Labour Party will be divided into the Heather Simpson-era and post-Heather Simpson. Simpson was Helen Clark’s feared chief-of-staff who managed to keep the caucus largely in line during Clark’s tenure at the top. The party is crying out for someone like this to hold the reins again. Willie Jackson’s appearances over the weekend did little to help reject the common criticism of dis-organised Labour. On Three’s The Nation, Jackson’s comment that he was in in discussion with the Greens over tactical voting in the Maori electorate seats was quickly shut down by Metiria Turei, who was quick to respond that this wasn’t so. The debacle cast a shadow over Kelvin Davis’ announcement of a Maori housing fund. There are a number of other examples of caucus disagreements and hissy-fits, MPs trying to make policy announcements when full sign-off hasn’t been given, wobblies because someone else is getting too much air time – including one where Labour’s deputy leader was astonishingly pulled from a TV appearance (it wasn’t Andrew Little who was concerned). Set an example for respect for the leadership. If a caucus member throws a wobbly because the party’s deputy leader was set to go on one of the weekend talk shows to respond to the Budget, then tell them that’s not on, and that we’ll go ahead as planned. Does the left need a lesson from the right? One thing you’ll notice is National, ACT and UnitedFuture hardly talk over each other. It might not be orchestrated, but National has managed to hold on to the vast majority of the centre-right policy platform without large issues being taken up by growing minor parties around them. It’s a bit rough blaming the Greens for Labour’s problems. It is Labour’s fault that they let it get this way. This isn’t a new criticism, but the party needs to look within itself to see how this happened. Constant policy changes, caucus infighting and disrespect that trickles out to journalists (I’m sure it happens within National but doesn’t get out as much), and trying to be too cute responding to National’s popular policies hasn’t worked. I’ll admit the above, and my Saturday column on the Greens are on the rant spectrum. A T-rant, let’s call it. Well, they’re out of my system now. Your thoughts? Labour were a party of "Workers" who look after their own. Now, they are a party of layabouts who look after their own. Last I checked the majority of Kiwi's are still "Workers" or employees as we are called these days. Labour just have to remember that. I don't think this is true, but I think it's a commonly held belief. Actual welfare to those in need is pretty static (i.e. decreasing per capita) and shrinking as a percentage of our welfare budget (as the Pension increases, given to people regardless of need). I myself have never voted for Labour, but I reckon this article is right on the money. Minor parties are picking up votes and attention like crazy for the reasons the article discusses - inequality, reduced social mobility, the housing crisis etc. I get the feeling that, much as this article suggests, Labour is simply trying to straddle too many positions. As National has shifted left, taking up a number of Labour's policies - including going from John Key calling Working for Families "communism by stealth" to this current government increasing Working for Families, Labour have struggled to differentiate itself while still occupying centrist ground. Meanwhile, TOP have come in and started talking about rebalancing taxation, and NZ First have come in picking up votes of people who want to stop the downwards driving of wages, and Labour are looking a little bereft of anything to differentiate them. National is Labour-Lite, while it's the other opposition parties who have more differentiation. Labour's potential for standing out perhaps lies in their policies around government house-building and dialing back immigration for a breather. I'd suggest to them they should hammer these more - perhaps while talking about the valid possibilities other small parties have raised...Older voters who see the continuing rise of house values as the be all and end all, and the importation of workers to suppress wages, will never move from National to Labour, so Labour will need to give up on them and concentrate on the audiences they can win. Forget about straddling the centre. Times can change. In 2002 the National Party received 20.93% of the votes, under Bill English. National is not much more relevant than Labour (or other parties that could replace the two of them), but things will move in cycles and shift over time. I voted for the Lange government twice. I now vote for Ruth Dyson because she is a stalwart for my electorate & deserves every vote. Other than that like you, and going back to the sixties, I have never voted Labour. There is one main reason for that. The Lange government introduced GST & compensated income tax accordingly. Fair enough! The Clark,Cullen government, under the guise of Anderton, promptly raise income tax, but with no equivalent compensation to GST. A betrayal & naked tax grab of the worst type. At that point swore I would never vote Labour again, which just goes to show how much I have come to admire Ruth Dyson's work! Seem to me that all Labour can think about is ways to increase the tax take, which is what Mr Goff has already shown in Auckland. I think that's one reason TOP's attracted so much attention - because of the possibility of rebalancing tax off its current disproportionate targeting of income and back toward a mix as it was in NZ's past. National have been basically as bad as Labour in increasing tax despite their promises not to - increasing GST, and then, in a rather mean-spirited showing, taking one third of your employer's contribution to your Kiwisaver retirement fund. They've also not considered such things as deferring tax on your Kiwisaver till you take it out (available in places such as the USA). Why do you praise TOP for wanting to rebalance tax off its disproportionate targeting of income, and then blame National for increasing GST? Surely "rebalancing tax off its disproportionate targeting of income" is exactly what increasing GST does? The KiwiSaver move removed a benefit that hardly anybody knew about anyway, and so was not effective in encouraging people to join or stay in KiwiSaver. It was also highly regressive - it delivered much higher benefits to high-income people than to low-income ones. What difference does it make whether your KiwiSaver is taxed as it goes along, or taxed when you take it out? Fair questions. I shall answer honestly. Why do you praise TOP for wanting to rebalance tax off its disproportionate targeting of income, and then blame National for increasing GST? Because GST still disproportionately negatively affects those on lower incomes, who of necessity spend most or all of their income. Also, not to state the obvious - but I haven't praised them, have I? I've noted why some find them appealing. The KiwiSaver move removed a benefit that hardly anybody knew about anyway, and so was not effective in encouraging people to join or stay in KiwiSaver. Taking a third of the Employer Contribution is a stealthy tax in that few realise they started taxing them there, sure. KiwiSaver will become massively more important over time given the affordability issues of the Pension. Most young Kiwis - those on lower incomes - know they need to be taking KiwiSaver seriously as a major strand of their retirement safety net. KiwiSaver sees young Kiwis taking personal responsibility for their retirement in the face of an uncertain future for the pension. It's highly regressive and mean-spirited of the government to reduce the ingoings via the broken promise of extra tax, and not allowing such benefits as deferral of tax till maturity. Young Kiwis are trying to do the right thing and National aint helping. Thank you Rick, I shall respond in a similar spirit. GST still disproportionately negatively affects those on lower incomes, who of necessity spend most or all of their income. You've changed the goalposts. Your original contention was that tax should not be disproportionately targeted on income. You are now saying that tax should not disproportionately affect lower-income people. That's an entirely reasonable and defensible proposition, but it's not the one you started from. What's more, it's not consistent with your opposition to the removal of the tax exemption on employer contributions to KiwiSaver. That exemption benefited high earners more than it did lower earners. Whether that is the case must surely be down to the rate of taxation, not the timing. If a savings account is taxed at 1% during accrual and 0% on withdrawal, that must surely deliver a better retirement income than one that is taxed at 0% during accrual and 75% on withdrawal, no? Come on, you are being disingenuous re: tax-deferred retirement accounts. There are many factors of course that influence retirement income. Size of investment, rate of deposits, rate of withdrawal even. ALL THINGS BEING EQUAL then of course a tax-deferred retirement account will deliver better returns, its pretty obvious. oranges and oranges Ms de Meanour. I haven't shifted the goalposts. Rather, you're taking two separate paragraphs and trying to mix them together to make them about one thing (in my earlier post). Note that paragraph 1 discusses the appeal "people" are finding in ideas like those of the TOP, and paragraph 2 discusses a different topic - National's broken tax promises (and the fact they disproportionately affect the poor). However, it's fair to argue that GST is taking tax off income and putting itself somewhere else. Although, for those who must spend their entire income the difference is essentially meaningless. Re taking a third of the employer contribution - both the low paid and the high paid gain or lose that third. The high paid don't lose a bigger percentage. Given the other tax discussions have been talking proportions and percentages, why shift the goalposts to outright number of dollars now? Speaking of shifting the goalposts, you might want to check out your last paragraph...now you're talking a variable rate of income tax applied to investments, to make the difference between taxing during vs. after investment go away. If you're getting that creative, meh...seems a rather ideological effort to defend something at that point. How about if the typical NZ tax rate applied to investments is applied at either time, rather than adjusting the rate to make any difference go away in order to suit some ideological position? Do you then acknowledge the investment community around the globe has a point? It make a hell of a lot of difference. The power of compounding annual returns instead of paying Tax until the year you retire and take it out. The whole tax system needs reviewed. "Actual welfare to those in need is lower than in the past and is shrinking as a component of our welfare budget"
- what exactly is the statistic that supports that assertion? Total welfare cost = number of recipients * welfare received by each recipient, so if the total cost is reducing, that must mean that one or both of these factors is reducing. Which is it? Even just from 2013 to now, the Pension increased from 45% of the welfare budget to 50%. At the same time, other welfare spending has in overall dollars basically stood still, while the population has increased. So even just in the last few years needs-based welfare is declining per capita while the budget for the Pension has swelled from $10.913B to $13,670B. Also see here http://wheresmytaxes.co.nz/ Click into the Social Welfare area and see how things have moved year on year, including the Pension going up by 6.8% (on huge volume) and the DPB going down by 4%. There's no law that says the number of people in need of welfare, is or should be, directly proportional to the number of people in the population overall. So, in your statement above, which "population", and therefore what "per capita" is this? The entire population of NZ, or the population of people in need of welfare? What I am getting at is that the simple datapoint of total spend on non-pension-welfare does not tell you anything about the generosity of welfare spending. Total non-pension-welfare spending could decrease, while still being more generous to each recipient, if the number of people in need of welfare reduced. I should have thought that would be a positive outcome. Have you any data to suggest your favourable reading is reality and the number of people in need has suddenly shrunk while the population has been growing? Personally I think Labours best chance would have been to put themselves in the centre with National but with plans in place to fix housing, poverty (but not through benefits), unemployment, maternity leave, working conditions, etc. They need to win votes from employed lower and middle income people - but they don't want to see more welfare, they would probably prefer Nationals tax cut for everyone. Labour should have been able to take a lot of previous National voters who are fed up with the housing issues and are just sick of National in general. Instead they have gone too far left and are almost unvotable by centralist voters. I'd sleep more easily with a Nat - Labour coalition and let the minor parties suffer. Between the two of them they might just find enough half decent cabinet ministers. PM - take it in turns: Bill, Jacinda, Andrew, Paula change every Sunday. Leader of the opposition - who cares. In all seriousness, you wonder if that is a viable option just to get rid of Winston First. All of what you say is probably right. I just notice things based on rough demographics. Left and right has gone, parties now target specific sectors of society. National = large corporates, farmers and upper class voters. Greens = Environmentalists and now it seems beneficiaries. Winston = blue rinse brigade. Looking at the last few elections, it seems that the average workers are the main central swing group. Labour seem to think they are still minimum wage blue collar workers. But the reality is now the average Kiwi is probably a bit more white collar, a bit better educated, and a bit more savvy. The average Kiwi has been screaming out for change, but have no one to take care of them - cue voter apathy. All Labour have to do is refocus policies on the average working Kiwi - no other party is. Don't worry about students, beneficieries, or other trendy minorities. Just take care of the workers, the rest will fall into place. Total sense except for a minor issue - I've met many average workers (the vast majority of workers including self) but never met one who thinks he/she is average (I only realised my averageness after retiring).
" Forget about straddling the centre." - I realize that you think Labour ( and politics in general ) should move left however if Labour gave up the middle ground National would probably be able to govern alone ( they only need 3-4% more ). Labour could have had a stand out policy of its own if it had said it will bring our troops home and stop letting the USA use them to help legitimize their so called war on terror. Thats why the USA wants our support, They don't need our weapons, They want countries on their side so it looks like they are the good guys. Labour could have put us back on the right side of history, but they haven't. The war on terror has always been a war against countries wanting to stop using the US dollar as the reserve currency of trade. The USA prints trillions of dollars and parasites off other countries work and prosperity. The world is looking for a new reserve currency they can trust. The US economy will collapse. In my opinion the scary thing about Labour is their internal identity culture acutely summed up by the "apologies for being a man" debacle. Most Labour MPs have never stepped off the beltway so don't know just how disconnected they are from normal Kiwis. The other problem Labour has is a fractured left, there are too many different left leaning parties and too many chiefs. Labour drank from a posioned chalice by cuddling up to the Greens. Labour has an honourable history going back decades and there is a need for an effective opposition. But to be in bed with revolutionaries and self confessed fraudsters is a bad look. If they cut off the silly alliance with the Greens tomrrow, their ratings would likely rise by 5% or more. Changing leaders at this stage is not the answer. Drawing on their proud history and the the need for an alternative voice is. It was always win win for the greens IMO by creating an alliance this far out with a stronger party. It made Labour look quite weak, as it showed the public that they didn't even believe they could even get enough support to even get close to National. People want to vote for a confident party. WP has shown that the best time to form them is after the election. Other than cuddling to the greens and going to bed with a self confessed fraudster or her mates justifying what she did .... they are lost for direction and the policies dished out lately gave them a bad look portraying unorganized and off the cuff policies and plans to counter the opposition in an obvious attempt to be seen doing something!. Maybe the swing voters ( and Green and NZF hopefuls) need to see that MESS for one term, eat humble pie , then kick everyone back in their place in 2020 !! You have a good point here. As a voter considering Labour I find I am thinking about their potential coalition partners - so it gives me an impression that a vote for Labour may end up a vote for Greens or even a vote for Winston and you may like one or the other but not nobody likes both. Compare that with a vote for National (not me but a typical voter) - a vote for National is what it says it is - they might end up in a coalition with NZF but Winston can be bought of with a few minor policies and some baubles of power - it will not change the direction of a Nat government merely give them a whipping boy to blame any failures on. So you are right - Labour has to push its policies and ignore the other parties. This leadership issue is just getting in their way. I would like to vote for Labour. However they make it very difficult to vote for them, because their polices simply are not popular. People don't want new taxes etc, so that more earnings go to the government. National are smart with their policies, and are very central. Labour are also very central, but throw out their left wing unpopluar policies to try and show that they are different from National. When they aren't really that different. Infact A labour / National coilition party wouldn't be the worst thing int eh world, especially as Labour are now almost considered to be a small party like the greens and NZ first. In some ways I think labour would be a better fit for National as a coalition partner than NZ first. But that isn't great for democracy to have such a weak opposition. It's ironic. The Lange government, before innovation turned to turbulence, was probably the most dynamic government we ever have seen. In fact would rate the same globally.Next time round we had Clark & Cullen who seemed hell bent on returning the persona to that of the 50's, 60's,70's, earlier if you like. A lot of Key's success was simply by modernising National & lifting them clear of all the old vendetta types of attacks, old hat style of politics, a la Muldoon for example. A nice bright clear clean smiling facade can do wonders to even the oldest concern. Until Labour works out that the old cloth cap blocks of voters are no longer represented in big numbers in the electorate, and instead are now part of a reasonably content and fast growing middle class, then they will continue to bark up the wrong tree. For instance just how many meatworker votes are out there now compared to when, Kirk, Lange and even Clark won their elections? And another point. Of the above Kirk & Lange were really very big men and personalities, capable of being vey convincing & influential. And in her own way Helen Clark too. No leader of this stature subsequently. On the basis of that, don't think Labour can get ever get there with any of the current crop. Why do they only poll a 1000 people, as the margin of error of over 3% is far to big for it to be very helpful. The margin could explain the figures. Often parties will say their own polling is substantially better. Polling processes do seem to need a shake up across the board. Interestingly, I have noted that some simple online surveys have been consistently and surprisingly accurate (even allowing for multiple votes/rigging) on a wide range of issues. Maybe it is as simple as online polls on generic MSM sites. "NZ First becomes majority government in a landslide victory"
:) Not quite, these are divided between the 3 parties ...and labour will lose here too..
That is truly an Yvil thought. We would have lame duck served 3 ways (Morgan, Peters, and Seymour) with a Green side salad. Who cares about "personality politics"? Opposition parties don't win elections, incumbent governments lose them. Admittedly an aging society probably means conservatives will win more elections in future but here and there we can still expect the odd centrist government. Mr Andrew on seeing the poll result did the right thing by going to labour members and offered to resign if they feel and are not confident of him based on recent polls but I think they all stood behind him. It shows that Mr Andrew is just not after power unlike many politicians. Polls or no polls this election will be for change of government. You could also say that his low polling proves he is not after power. Top bloke. So the solution is to go back to where Phil Goff and David Shearer stood .. how well did they do ? Labour have turned their backs on the Strivers. People who have had a poor background but want to make something of themselves. They may have, and so have National. So that leaves a significant proportion of the population ripe for the picking by the right sort of leaders. Agreed - someone should tell them that progressive taxation needs to start with actual high earners - Managing directors, CEO's senior governmental jobs - even head teachers and surgeons - not as it seems with their refusal to move the bands the actual nurses and teachers that should be their core vote! A huge space is opening up for a progressive left of center party to establish itself - as a 4th term national government cannot continue to be popular ...... but wait ! Labour has been hit by a second hammer blow poll showing its popularity taking a dive - and this time the bad news comes from its own pollster. A UMR Research poll provided to Labour, the pollster's corporate clients and some other parties last week, and leaked to Stuff on Monday, showed Labour on 23 per cent - down six points from a similar poll in June. That was worse even than Sunday's One News-Colmar Brunton's poll, which put the struggling party on 24 per cent and prompted leader Andrew Little to offer to quit, although his senior colleagues turned the offer down. The UMR poll had better news for NZ First which hit 16 per cent against just 11 in the Colmar-Brunton poll. But it confirmed the strong showing by the Greens since it released its welfare policy and co-leader Metiria Turei revealed she had lied about how many flatmates she had when she was on a benefit in the 1990s. Both polls had the Greens on 15 per cent. However, the rise of NZ First puts it in the box seat to determine who will govern, with both a Labour-Green grouping and National needing his backing. You know the only example I knew of where two minuses make a plus was in algebra. That was until Ms Turei set about her posturing last week. I personally think if they went with Jacinda Ardern they would do well. Unfortunately we are in an age of identity politics, and she's far more charismatic than Andrew Little. I like both of their mindsets, but I'm still voting Green. the bottom line here is that politicians, irrespective of their colour, simply don't understand their constituents. they believe they are some form of higher life form and don't listen to their communities. Working class people are concerned with providing a house over their head at an affordable rate, their children being able to do the same, secure jobs providing a reasonable standard of living, and not being worked to death before they retire. Little, just like English does not understand this or even have a plan on how to deliver it. Instead they talk over their constituents heads, treating them like morons and ignoring what they have to say. Politicians are too busy slopping at the trough, looking out for themselves while the people of this country face steadily eroding opportunities and living conditions. They are handed platitudes about retraining, but know there are no jobs available, or what are, are part time jobs at minimum wage. This is the result of the "lifestyle flexibility" that Judith Collins explained was provided by National's policies. Problem with Labour is they have lost touch with young people and middle ground.. Little isn't exact the most dynamic or has the right image. My money is Jacinda, she hasn't got that Union attachment she's cool, calm and collected. I'd prefer Annette King to Jacinda; must be my age or maybe experience is worth something?. Chairman, Nice alliteration, but you left off callow. The cartoon at the top of the page makes Little look more handsome than reality, whilst it does the opposite to Jacinda. Labour will never win another election under their system of unions deciding the leader. Let the caucus decide the leader and select Stuart Nash and Kevin Davis as deputy. Alex, your column aboot the Greens was not a rant. It was adult advice. The Greens have four major perception issues. They are hopelessly weak on foreign relations, defence, terrorism and related exogenous policy matters. NZ is regarded in Oz as a soft back-door - this is the impetus for much of Oz' recent moves to tighten their borders. Apart from the expected leftish Trump Derangment Syndrome, they simply don't have policies that resonate with large sections of NZ in this area. They have managed to position themselves, thanks to Ms Turei, as regarding the rule of law as Optional. Their support of cannaboids and other chemical propellants is quite at odds with the Precautionary Principle, so that's Optional too, it appears. For a party which hopes to rule, a disregard for law is a very bad sign: it encourages the 'We Know Best' tendencies amongst both rulers and supporters, and if this becomes widespread and/or deep-rooted, we have anarchy on our hands. At base, this attitude destroys the Trust which is at the heart of our democracy, such as it is. They appear quite conflicted on matters like the 'environment'. There's the standard no-mines, no-cows, no trucks shtick, which at the extreme means no metal, no milk, and no FMCG. And yet they simply must have more choo-choos (lotsa Metal), more warm dry homes (more logging, lotsa metal, concrete and plastic), and more Food for all a them poor people (more trucks, more farms, more imports). Nowhere is there any joined-up explanation of just how all these contradictions should be resolved. Perception is reality, so the marketers tell us. And perceptions are hard to change, except negatively. Something both the hapless Little and the self-justifying Turei have managed to achieve this past couple of weeks. That's gonna take a lotta walking back, in each case. Phil Goff’s 2011 tax policy, while a bit rough around the edges, was a progressive, centre-left policy. I personally believe Goff was the best Prime Minister New Zealand never had – in my voting lifetime at least. Get back on message and actually stand for what you believe in. Goff has been Mayor of Auckland for 9 months and yet his list of achievements has no beginning. Kurt Vonnegut ( I think) said always start your story as close as you can to the end. Believe Mr Goff is well read. Now atleast no one will ask Mr Andrew : when are you resigning since your poll result is low AND NOW that he was ready to resign if the labour was not confident about him - the media is going the other way : Why do you want to reseign. I think Andrew Little will do well in the tv leader debates. Better than Jacinda Adern would. He should claw back voters from National. What i see as the big problem for left , the huge disparity between peoples views on the "problems", (housing homelessness, gap between rich and poor) etc, and their party voting patterns. How many are saying , Yes i want a better deal for the poor rather than a tax cut, but are going to vote for the party giving them a tax cut? Quite a few by the look of it . Some areas that haven't really got publicity yet, but Labour could do well in , Kiwisaver/superannuation, education and health. This election is far from decided. Labour can obviously score points on housing, but if they were smart they could score points on education and healthcare - winning votes from the young and old. There is a looming teacher crisis linked with the housing crisis and they can gain on this. Anyone reading in Labour Land? Despite Labour's mediocrity, this will be a fascinating election. Who does Winston side with? Not inconceivable that he goes with labour/greens and becomes pm. If he goes with nats, he will have some bargaining chips on immigration etc. For me a major election issue is not being covered. Labour used to have the high ground on this subject but I have heard nothing. We support the USA with our military in its wars and its ongoing aggression. The USA doesn't need our weapons. The USA needs us because by being on the team we help legitimize their behavior. By now we must all surely realize that the so called war on terror is a sick joke. Even with our own media being complicit with the ongoing tirade of cheap propaganda that we are subjected to, most people realize that its a con job. The Greens want us to take 4,000 refugees while we are on the team making the refugees. This is hypocrisy! This is stupidity when our own families are sleeping in cars and sheltering at Maraes. The David Lange Labour govt and any other prospective Labour party would have stood against our complicity in the invasions and murder of 100,000's of people. This prospective Labour govt should be holding our media accountable for its repeating of US propaganda. This prospective labour govt should be insisting that our media educate our people as to why The USA attacks these countries when its own FBI said that the WTC terrorists were Saudi Arabians. This prospective Labour govt should be insisting that our media be the eyes and ears of our democracy. A missed opportunity by our Labour party. We carry on supporting the USA's petro dollar. We send our troops to support USA attacks on countries that no longer want to use the US dollar for trade. These countries want to be able to trade not using the greenback which flies off the printing presses by the trillion. They want fair trade. They don't want their trade transaction to be supporting the most violent and parasitic economy on the planet. The US under Trump is scaling back involvement in war zones. About the only good thing about Trump vs Hillary. As they say Hillary never met a war she didnt like. Trump threatens to attack Iran and N Korea. I'm not sure how that is scaling back? Russia, China and India are stopping using the US dollar as their currency of trade. The US dollar and economy will collapse without the world using them as the reserve currency. For the last 60 yrs they have been able to make their trade purchasers using their own currency that they print by the trillion. The US dollar has become their largest export. What they actually produce won't pay for their lifestyle. NZ labour Party could have stood up and had a policy that National wouldn't have copied. They could have stood for something and been on the right side of history. An opportunity missed. Meanwhile we carry on helping legitimize US foreign policy of death and destruction. NZ has mostly been involved in keeping peace in various regions of the world, bringing in medical teams and helping the populations caught up in fighting. Perceptions around the world are that NZ is a "peacekeeping force". We cant hide our heads in the sand when these conflicts flair up. We are not peace keeping in Afghanistan or Iraq. We are active members of an invading army. Our special forces have even had one member receive a VC and we have had casualties. We aren't there for reasons of humanity. We are helping the invaders. The war on terrorism is a farce, a bad joke. It is a war to preserve the US dollar as the reserve currency of trade. As long as the US can print trillions of dollars as the world currency of trade they can also purchase other countries minerals and produce with money that in reality has no guaranteed value. Libya was setting up a gold based currency to challenge the US dollar. USA and NATO destroyed Libya. The so called axis of evil were all countries rejecting the petro dollar. (US dollar). If you want your eyes opened, have a read Neil Hagars Hit and Run. The tirade of personality smears against the authors as opposed to confronting the facts is telling. My admiration of our SAS has dropped like a stone after reading what they were part of. I haven't read it rastus but will try to. We can't blame the SAS for being put in harms way and following orders. We have to look to our media and how we tolerate the drivel they feed us. The news is entertainment, not educational of world events and politics. We have to ask ourselves, why are none of our political parties against our involvement of invading other peoples countries? Why as a nation do we blindly follow the USA as they spread death and destruction? I would like to vote for Labour but cant because their whole culture seems to be geared toward increasing welfare dependence rather than deal adequately with the issues that are causing the need for welfare. National have a veneer of being labour lite but behind that they are geared to looking after the very wealthy - property speculators, tax evaders, overseas interests. Nationals increases to working for families and the housing supplement have further dragged average New Zealanders into the trap of welfare dependency and indirectly ends up in the pockets of the landlords and wealthy. It does nothing meaningful to help people to get ahead and succeed. Unfortunately Labour appear very similar and seem only too happy to increase taxes and hand it out by increasing welfare dependency. What labour need to do is put a lot of effort increasing the purchasing power of these people who are currently welfare dependent by dealing to the monopolies, duopoly's and artificially constrained land supply. They also need to strongly promote increasing the countries productivity, and moving our production further up the value ladder. Labour also seem just as happy as National to play the immigration ponzie scheme, albeit at a slightly toned down level. Fact is that we cannot afford any extra people when we have very significant homelessness and are building new houses at half the rate that new immigrants are arriving. I think that the only sensible vote has to go to NZ First because whoever wins will have to deal with them and NZ first will deal with the real underlying problems.